Samsung Galaxy S7 and Galaxy S7 edge owners, there’s a software update coming your way. 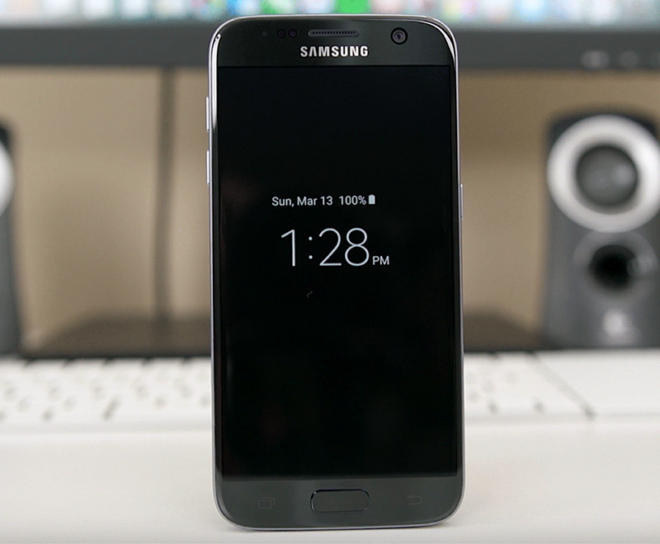 Several Galaxy S7 and Galaxy S7 edge owners have reached out to TmoNews to say that they’re getting a new update today. Coming in at nearly 300MB in size, the update appears to add the August 1, 2017 Android security patches. T-Mobile hasn’t updated its GS7 or GS7 edge support pages with info on this new update, so it’s unclear what else might be included. If you’ve got a T-Mobile Galaxy S7 or Galaxy S7 edge and haven’t yet gotten your update, you should see it in the coming days. You can also check for your device’s update manually by going into Settings > Software update > Download updates manually. Thanks, Luis, American Patriot, and Joe! It’s amazing how TMobile updates the S7 series faster than the S8 series. Good job…Not. Who do you think is responsible for issuing security patches, Samsung or T-Mobile? Yes, T-Mobile is the middleman, but they can’t issue security/performance updates if the manufacturer hasn’t released or made it available to them to test and approve. Save that b.s. for someone who doesn’t read. 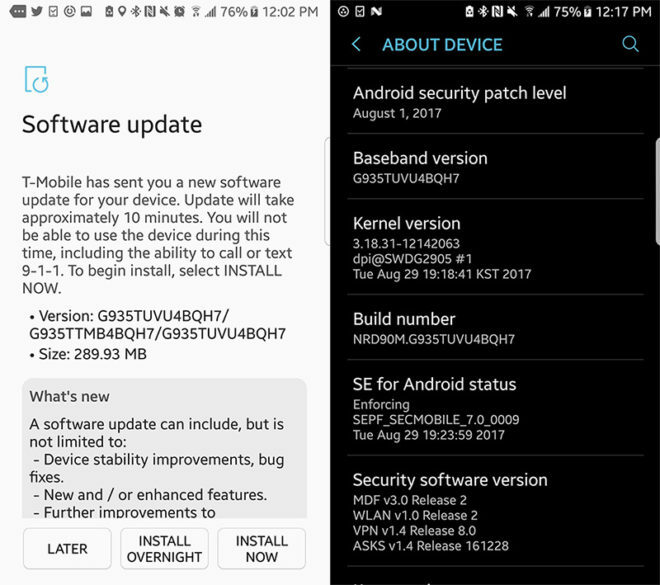 Verizon, AT&T, Sprint and the unlocked variants of the Galaxy S8 are all on the August security patch. Who doesn’t know that this is on TMobile not Samsung? No need to be rude. Thanks for the info though. No install hiccups everything smooth. Device performance & battery life improved greatly! Battery and performance improved? Have you noticed any changes that might have lead to this. I have been less happy since the 7.0 update. Glad to hear this improves things. Thanks. Still waiting for mine. the battery seems the same on my s7 edge. the performance seems slightly better. i use to have alot of lag upon boot up. after this Update the is lag is pretty much gone. Solid hour Twitter & browser use 20% battery loss. That’s great improvment from past updates so I’ve found reminding me of device release battery performance. Standby time also greatly improved & OS feels smoother.